Your physical and energy body is truly a miraculous device to live within. The intricate and complex systems of cells, tissues, organs, chakras, energy highways, and the interactive auric field work together to give you the sensations of life. Yet even though we may know this, very few of us truly honor and take care of the vehicle that we reside in. If our bodies were a car, it would have a old, dust-entrenched exterior, with items from times past strewn on the floors and seats. Even without knowing it, your body has an incredible army of protectors constantly on guard for you. Much like when we call forth Archangel Michael, Jesus, or our spirit guides for protection, our body has at its disposal the most advanced infantry for your internal system‘s defense - your immune system. 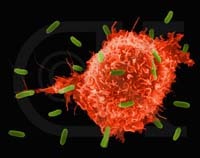 Your immune system is a magnificent network of cells and organs that work in tandem to keep foreign invaders (virus, bacteria, fungi, parasites) at bay, and to neutralize those internal criminals that have gone wrong (cancer). Energetically speaking, the level of strength in your immune system symbolizes your ability to hold boundaries, use your ‘gut feelings,' and to recognize that which is only for your highest good. A study led by Dr. Richard Davidson, Vilas Professor of psychology and psychiatry at the University of Wisconsin-Madison found that meditation boosts the immune system. The type of meditation observed in the subjects was focusing attention on thoughts and feelings that may come up, and then letting them go (sounds like the Vogel Technique doesn't it?!). Those subjects who meditated 6 days a week had an increase in their antibody production, and their left side of the brain (associated with optimistic and positive emotion). An antibody is a protein that is secreted by the white blood cells into the bloodstream to recognize and neutralize the negative intruders. They are like a soldier that captures and then directs the enemy to a macrophage for destruction. If the process of meditation or deep relaxation has the power to boost antibody production, as the study may imply, then the vast benefits of using your Vogel Crystal just got more profound! 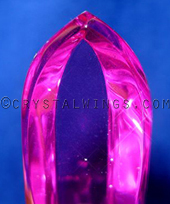 If you find that you or a loved one is feeling run down, tired, or sick, consider your Vogel Crystal Healing work to be an essential preventative measure to increase the strength of the internal army of your system. When beginning the work, call forth protective entities that you resonate with. 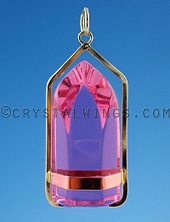 Like Marcel taught in his Vogel Healing Workshops, enter the body energetically with the crystal pointing into your hand (when working on yourself) or through the high heart chakra (when working on someone else). The hub of the immune system, the thymus gland, sits in the physical body at the high heart chakra, creating white blood cells, and educates the immune army about the enemy. Marcel said that this area seemed to be the ‘doorway to the soul.' 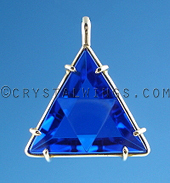 Do your Vogel Crystal work as you usually do, following your instinct, but imagining that the protective entities that you called forth are inside the body, working alongside the invader-capturing antibodies and the neutralizing macrophages. When you find that certain objects or components come to the surface when neutralizing the toxicity, let them go, or direct them to the incredibly capable white blood cells of the body. All of our bodies have the capability to heal. 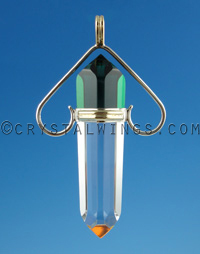 Your Vogel Crystals or Master Healing Tools can assist you in connecting with the energy of the earth; the source of your true state of calm. They can allow you to relax, release, and rejuvenate your body's systems.